Boston Pride 2017 started on Friday, June 2nd with the raising of the Pride flag over City Hall. For a complete list of official Boston Pride events, pick up a copy of the Boston Pride Guide or check out their calendar online at, bostonpride.org/calendar. Below I’ve included several events that I enjoy and which I would encourage you to check out. 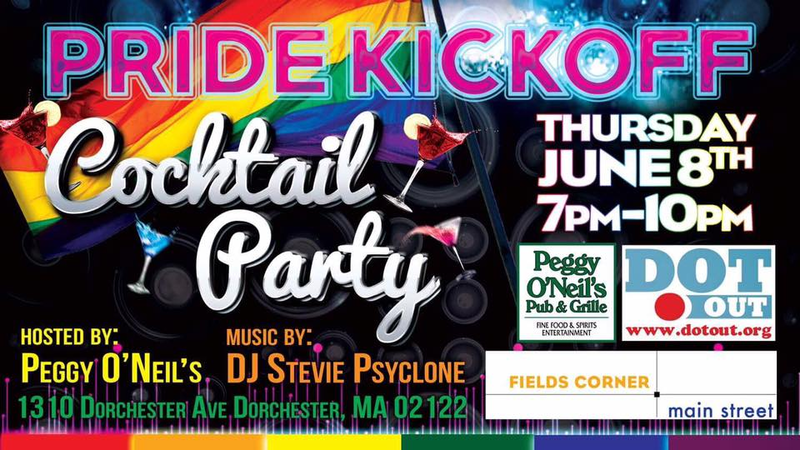 Some of these events are part of the official Boston Pride calendar and others are not, but all are a lot of fun and worth checking out. 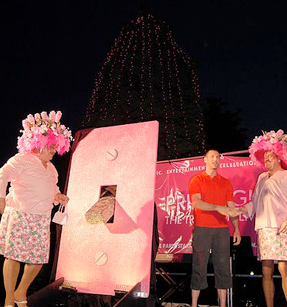 Over the past thirty-one years nearly 350,000 people have participated in the AIDS Walk & Run Boston and helped to raise more than $40 million for the programs and services of AIDS Action. The 4th annual Heels for Hope to benefit BAGLY is taking place at Club Cafe this year. This is a blast and goes to a great organization so head over to Dorothy’s Boutique on Mass Ave and pick up a new pair of heels. As you can see from Keegan and Fabricio, open toe shoes, bright colors and glitter are preferred. This annual tradition in the BCA plaza on Tremont Street is usually a fun way to spend an hour outside socializing, but I’d suggest you make plans to head to Trophy Room after the lighting or over to dbar for Showtunes Tuesday. Head over to Peggy O’Neil’s pub is hosting a kickoff cocktail party that should be a lot of fun and will attract a fun crowd. Before heading over for a cocktail or two, check out Watchout Design’s summer trunk show at Sister Sorel. 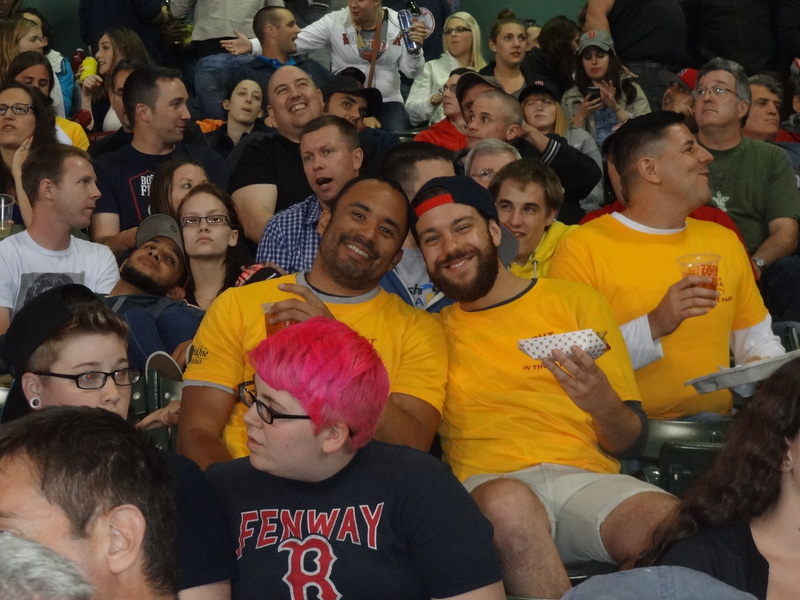 Boston Pride and the Red Sox have teamed up to present Pride Night at Fenway Park. After the game check out Adore Delano at Machine Boston or if you have no plans to be in Fenway check out dbar’s annual Pride Stoplight Party. Following the parade, head over to the Chandler Street Block Party hosted by AIDS Action Committee as a warm up for the dance party later in the night at The House of Blues with DJ Abel. 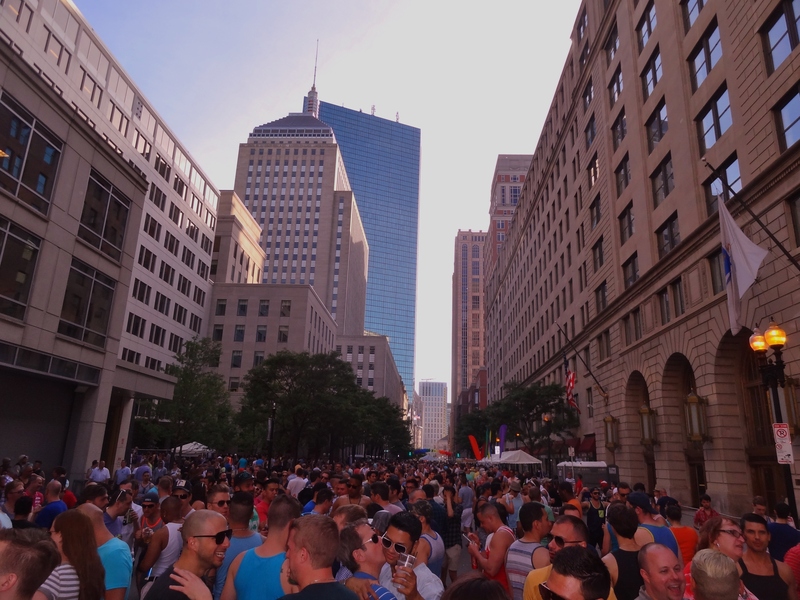 Each year the Back Bay Block Party is a lot of fun and a great way to end Pride. Prior to the block party head to the Boston Common at 11AM for the Stronger Together Rally which is part of a nationwide protest. 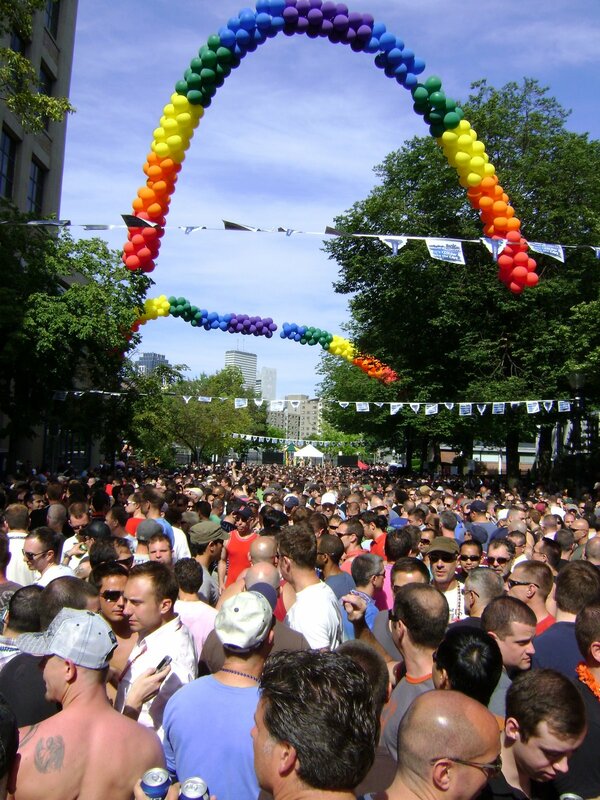 This entry was posted in Gay and tagged BosGuy, Boston, Boston Guy, Boston Pride. Bookmark the permalink.